It is Friday!! Happy Friday everyone. Today looks to be a good day here in my little part of sunny Colorado. The sun is shining my hubby and son are headed out this afternoon for a father-son campout and the girls and I are going shopping!! Girls night out with my two daughters sounds like a great night to me. And if you read yesterdays post about Chia Seeds, then I am sure you could have guessed what was coming up today. This is actually surprisingly good and it is good for you. Win-Win just like my weekend. And when I say any kind of milk I really mean it, I used skim milk because that is what was in my fridge at the time, but you can use almond milk, soy milk, whole milk, etc.. If you’re looking for a little treat that won’t ruin your calorie count for the week, here you go! 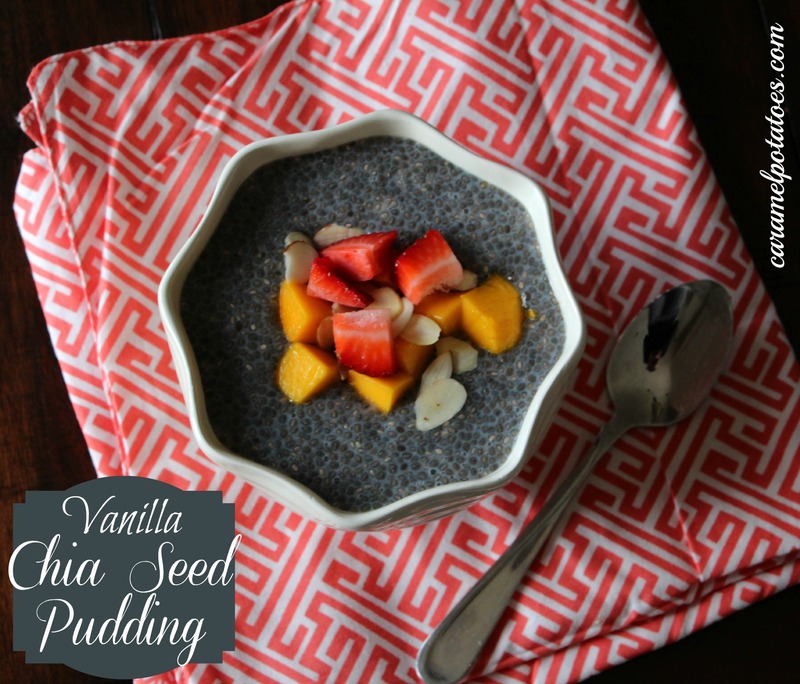 In a bowl, or jar, combine the milk, chia seeds, vanilla and honey. Stir until honey is well incorporated. Refrigerate until thick, at least 4 hours or up to over night, stirring occasionally. Serve in bowls topped with fresh fruit, nuts and maybe a little additional honey. NOTES: This is for 2 servings. This will keep in the fridge up to 3 days.